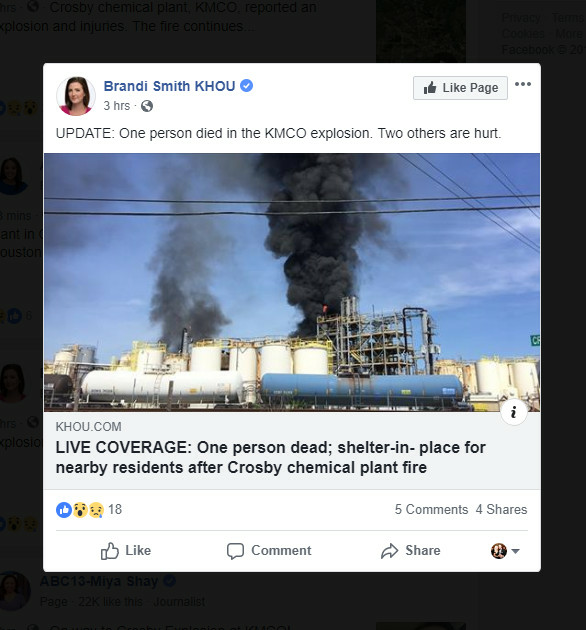 Emergency crews are working to gain control of a fire after a late morning explosion rocked the KMCO chemical plant in east Harris County, Texas. At least one fatality and two injuries have been reported and a shelter-in-place has been issued for residents within a one-mile radius of the site. 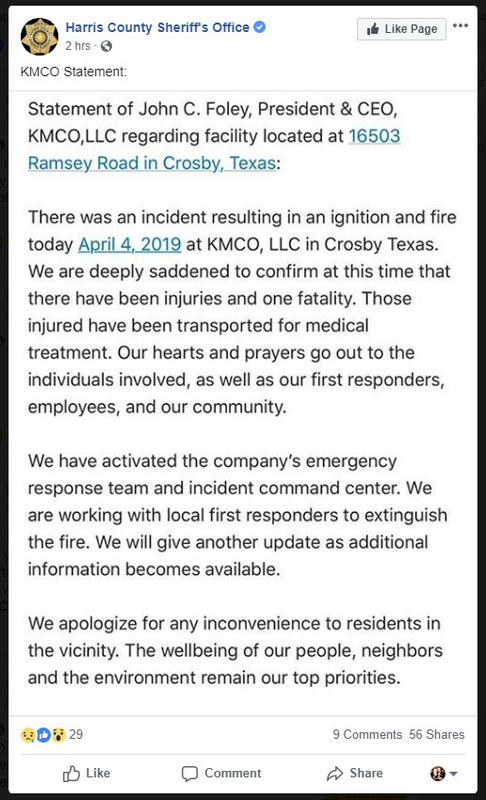 John Foley, KMCO President and CEO, confirmed that one person was killed in a statement released by the Harris County Sherrif's Office. This is the second major chemical plant fire in the Houston area in the last two weeks. The ITC fire that started on March 17 in Deer Park burned off and on for a week. Click here to read the full article from KHOU 11. Very sad Log in or register to read the rest of this comment.